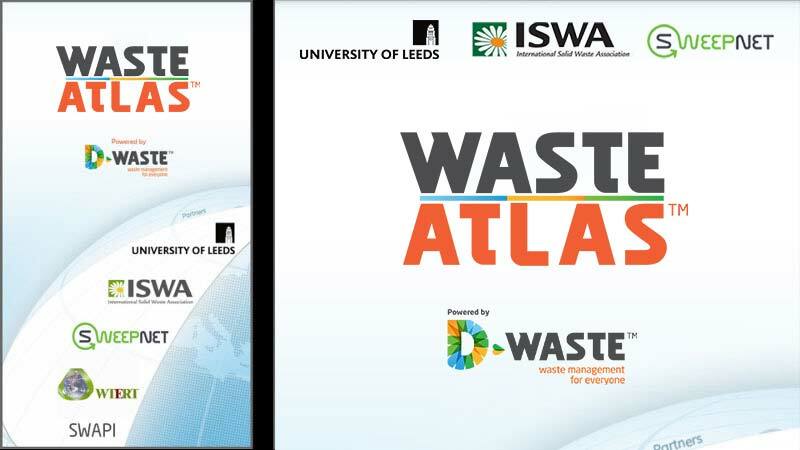 Waste Atlas is a crowdsourcing free access map that visualizes municipal solid waste management data across the world for comparison and benchmarking purposes. For the first time waste management indicators (such as collection coverage or rate of unsound disposal) are correlated with other indicators, such as HDI and GNI per capita, for so many countries. Conducted initial research with target group using iterative methodology. Created low fidelity prototypes to be tested with focus groups (rapid prototyping). 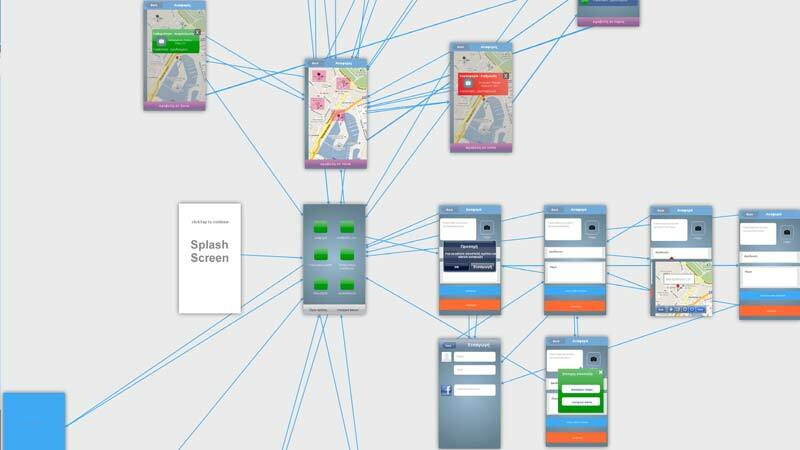 Designed and tested user journeys, wireframes and micro-interactions. Designed actual layout demos and storyboards based on research results. 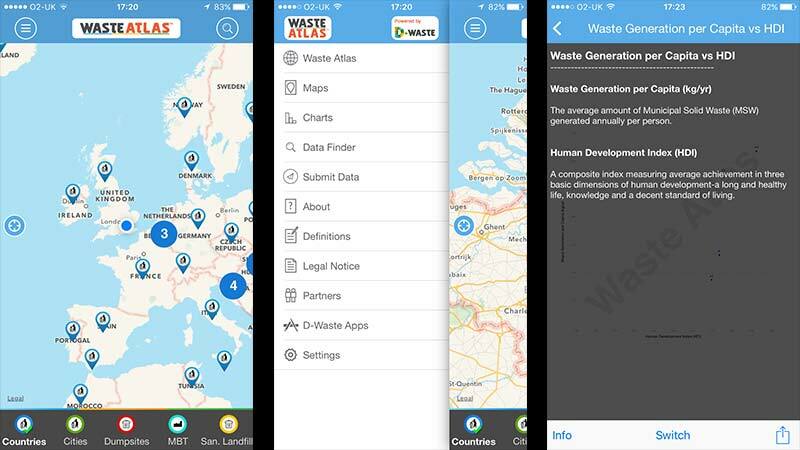 Managed a team of 4 designers and developers to realise the actual application for IOS. Efforts were focused on designing key UI features while maintaining Usability. Decisions on amends and additions were made based on a iterative testing and data vetting. 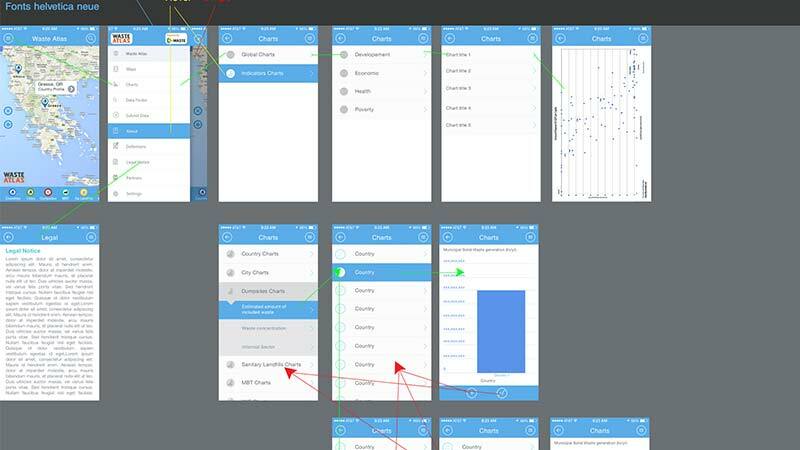 Wireframes were partially based on earlier version and fine-tuned specific parts according to earlier usage flows data and user research.